These carvings, by Hopi carver Jarvis Lomayestewa, were purchased from him on Second Mesa in Hopi. He is a traditional carver using cottonwood. Article on Hopi Kachina Carvings. 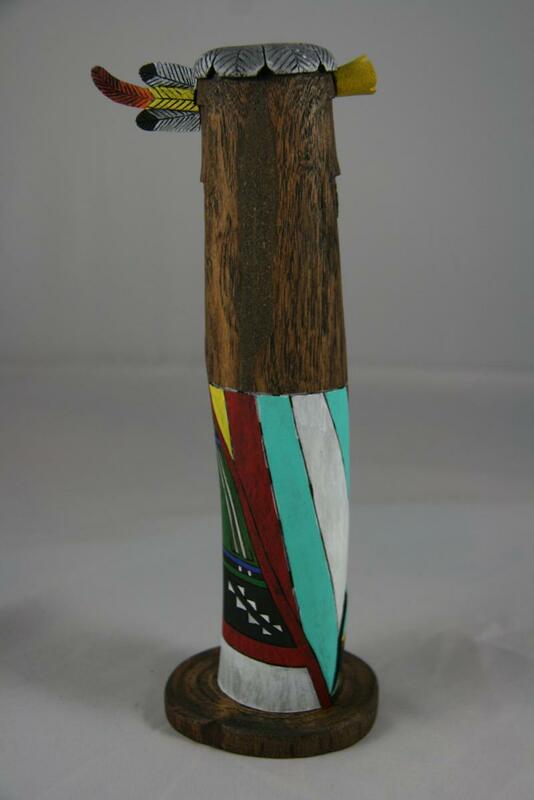 This is a carving of the Long Hair Black Beard Kachina. 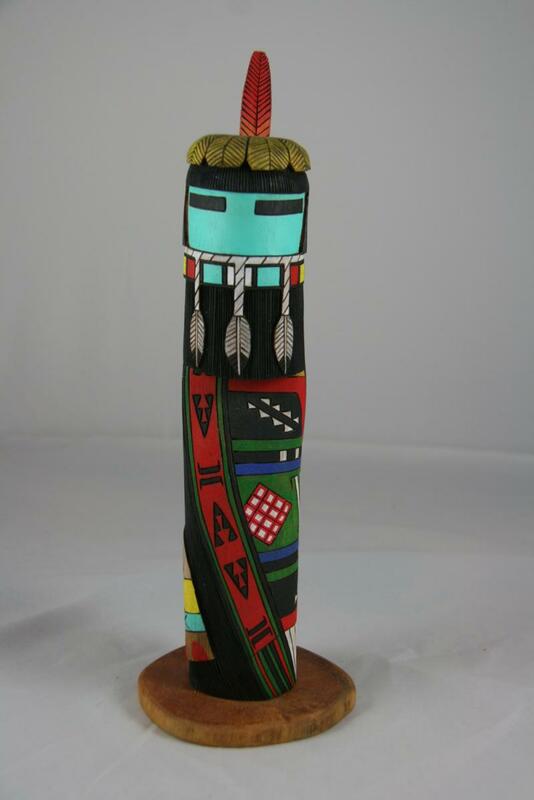 It measures 10 and 1/2 inches high including the base and the carved feather. 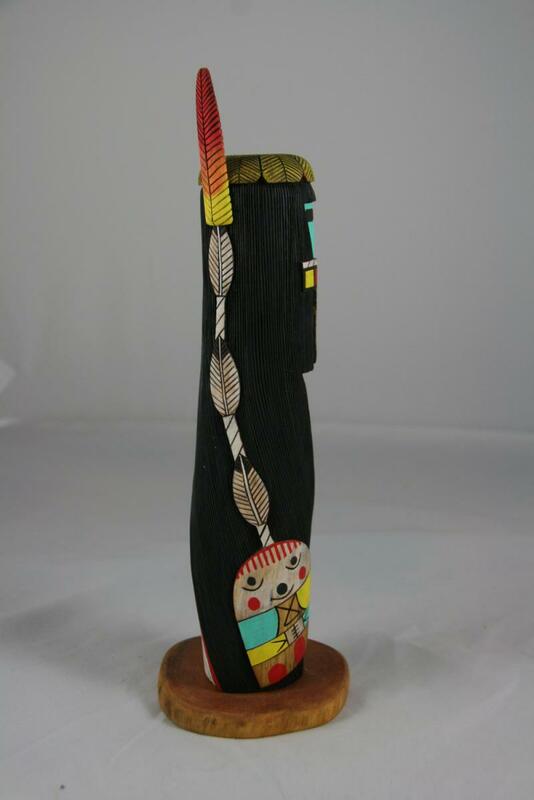 On the base it is marked by the artist: Jarvis Lomayestewa, Long Hair, Bacavi, Hopi. It also has his clan symbol. This is a carving of the Turtle Kachina. It measures 8 and 3/4 inch high. 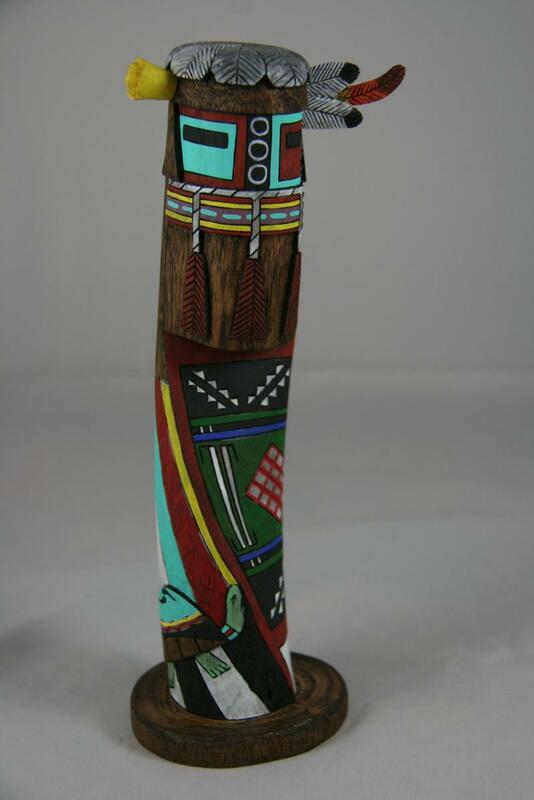 On the base it is marked by the artist: Jarvis Lomayestewa, Turtle, Bacavi, Hopi. It also has his clan symbol. Read about Tuhisma, the Hopi Arts and Crafts show in Kykotsmovi, Hopi. This takes place on Columbus Day weekend. Read about the Hopi Hotel in Tuba City.